Its official- Lucy can walk and that means its time to start wearing shoes (it been bare feet, socks and booties up until now).. 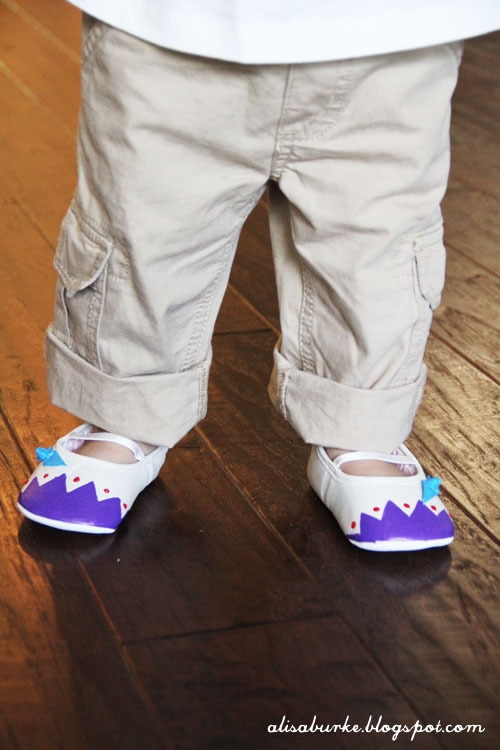 The only problem is that I seem to have hard time finding funky girl shoes- so I set out to alter a couple pairs of simple shoes with the hope to begin a fun little shoe collection for Lu. 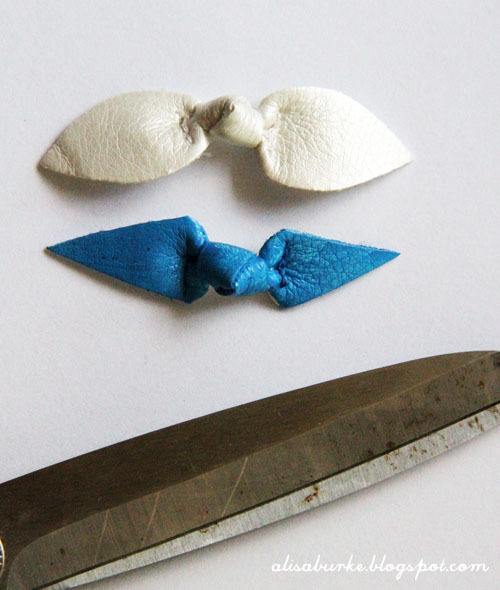 I started with a pair of white shoes that had a bow. First I removed the bow and then using blue painters tape I blocked off to the surface to create a little triangle design. Next, using Tulip Soft Fabric Paint I painted the surface. Once the paint was dry I removed the tape to leave a fun geometric design. 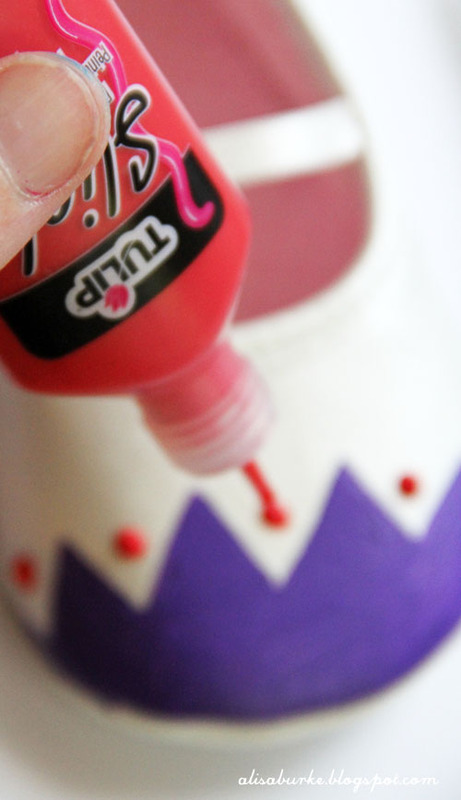 I added a few tiny red embellishments with Tulip 3-d Fashion Paint. 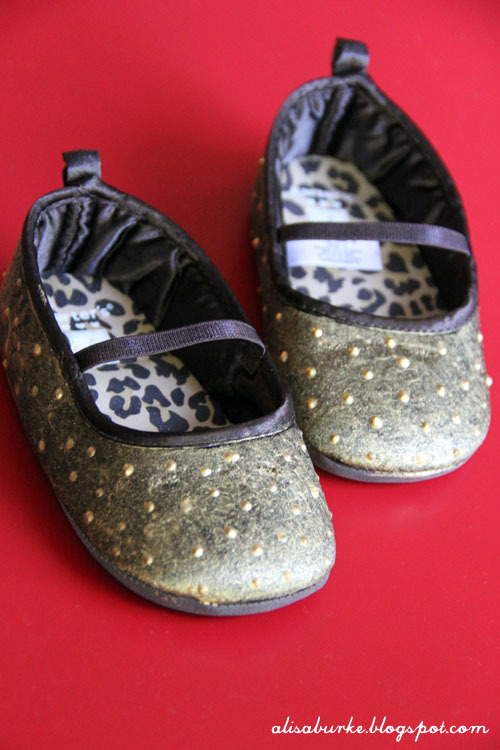 The result- a funky little pair of baby shoes- a little more our style! For the second pair I once again removed the bows and then painted the entire surface of the shoes with Tulip Fashion 3-d Paint in metallic gold. While the paint was still dry, I used a crumbled up paper towel and dabbed the surface of the paint to create texture. Once the surface was dry I added tiny little metallic dots with 3-d paint. 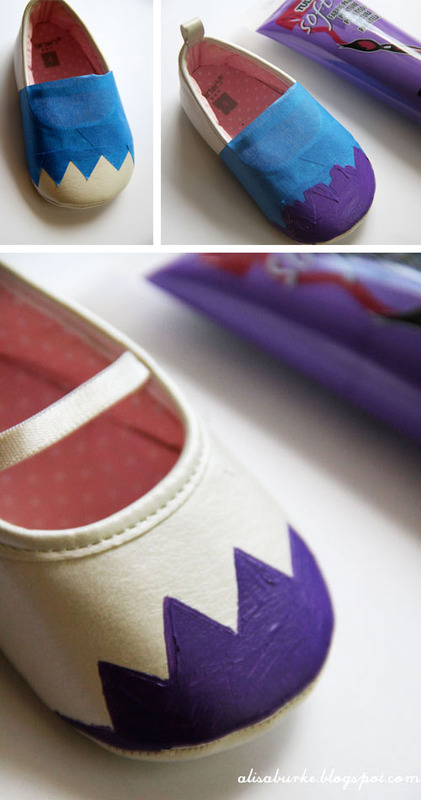 Another cute pair of funky shoes! Now lets see if we can keep shoes on this kid! Your baby is gorgeous!!! I love to shoes!! Awesome post.The information present here is helpful for the readers.The post is absolutely fantastic! Thanks for sharing this info. Love your blog! You should see the amount of baby shoes we have for our daughter!! 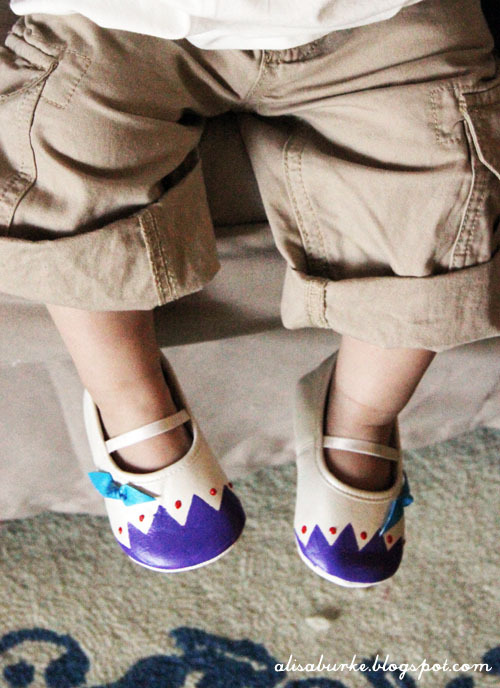 Lovely Baby Shoes. And your baby is very cute. You explained very well, nice tutorial. Thank for this informative and pics sharing, good to share more my friends! 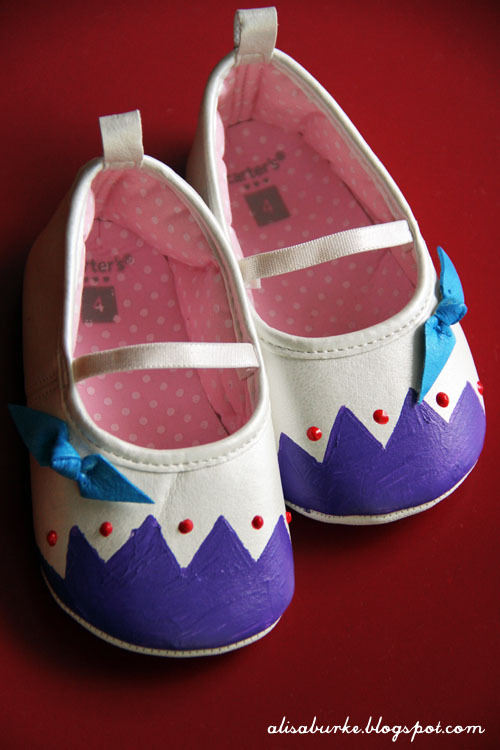 See also more and compare for best prices deals for Baby Shoes Deals here! I would like to the same shoes for my baby. I would like to keep it too. Is it leather? Nice baby shoes. Thanks for share this. I think every body like it. Hi - sorry but how are those shoes functional? 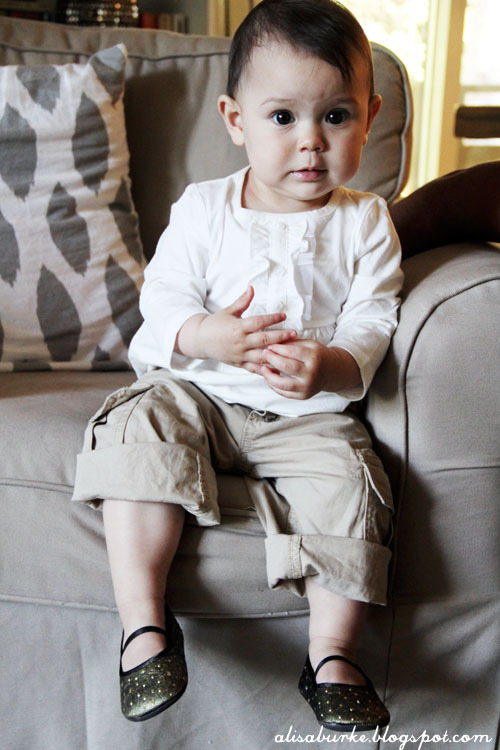 Child needs supportive shoes with good orthopedic arch support, ankle support, soft soles. Those shoes will only cause ankles to collapse and pigeon toes to develop. You can buy quality shoes here - European ones, quality, made with leather and best support that child needs it as their feet are growing and forming. https://ekinga.com. Info is listed on quality shoes and types that are needed for children.